National strategy for cybersecurity in Sri Lanka is under the development process. The draft can be found in the above given link. Sri Lanka has organized capacity buildking workshops for Bhutan and Nepal. Electronic Transactions Act, NO.19 of 2006. 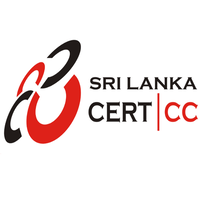 Sri Lanka CERT has participated APCERT cyber drill for the last 8 years. Computer Crimes Act, NO.24 of 2007 also covers cybercrimes.